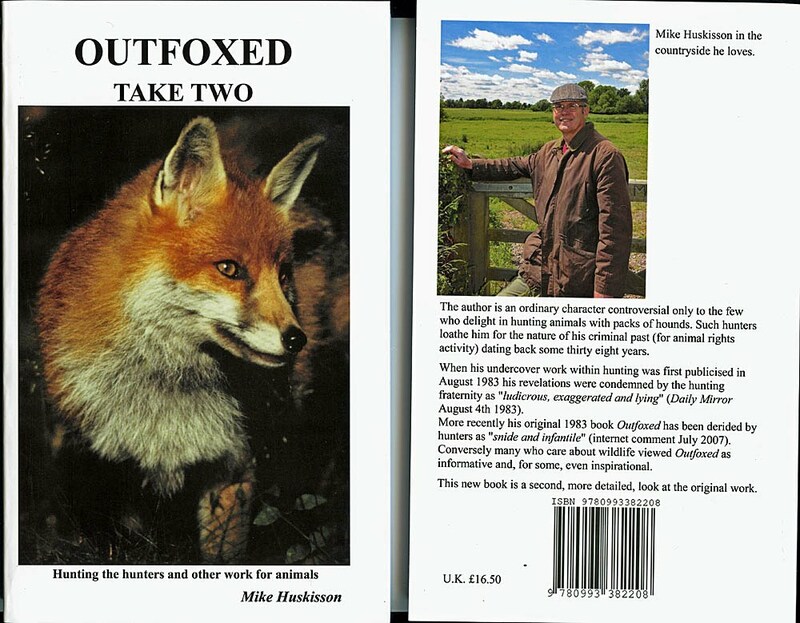 Outfoxed Take Two was published on November 1st 2015. This book is built on my original 1983 Outfoxed. This new work still ends at the end of 1983 but includes extra words and extra pictures. This book will help you understand how hunting really works. It will also help you understand the birth of the worldwide Animal Rights movement in the UK in the early 1970s. This book is available by mail order only from the Animal Welfare Information Service and costs £19 (£16.50 plus £2.50 postage and packing). Please send a cheque for £19 payable to AWIS to AWIS, PO Box 8, Halesworth, Suffolk, IP19 0JL. Or you can pay £19 using the 'donate' button on the front page of this web site (I will know what your £19 is for). Or you can e-mail me for other ways to pay. Thank you.